Despite nearly a century having passed since its release, F. Scott Fitzgerald's American classic, The Great Gatsby, remains relatable in many ways. I reread it at the beginning of every year to exercise my mind after the lazy winter holidays. Fitzgerald’s complex yet fluid sentences—both lasting forever and never long enough—are the perfect exercise for the lethargic mind. On the most recent reread, I noticed a connection between Gatsby, modern culture, and social media marketing. Namely, this: we are all Gatsby. For those unfamiliar or needing a refresher, The Great Gatsby is novel set in the roaring twenties about a rag-to-riches man, Jay Gatsby, who broke out of poverty to win back the woman he loves, Daisy Buchanan, from her wealthy husband, Tom. Gatsby’s master plan is to throw giant, elaborate parties for anyone and everyone with the hope that one night Daisy will wander in and fall back in love with him. How many tweets have been posted, Instagram pics uploaded, Facebook statuses updated, or snaps put into a story just in the hope that the one person will like, comment, or even see it? If we’re being honest, the answer would be the majority of them. It’s the same with what many companies are doing now with social media marketing. They’re blogging, tweeting, instagramming, throwing up ads everywhere, and putting in so much time, money, and effort into growing their consumer base—but are their efforts paying off? Are their Daisy’s seeing them? There are tested methods available to help maximize advertisement reach. 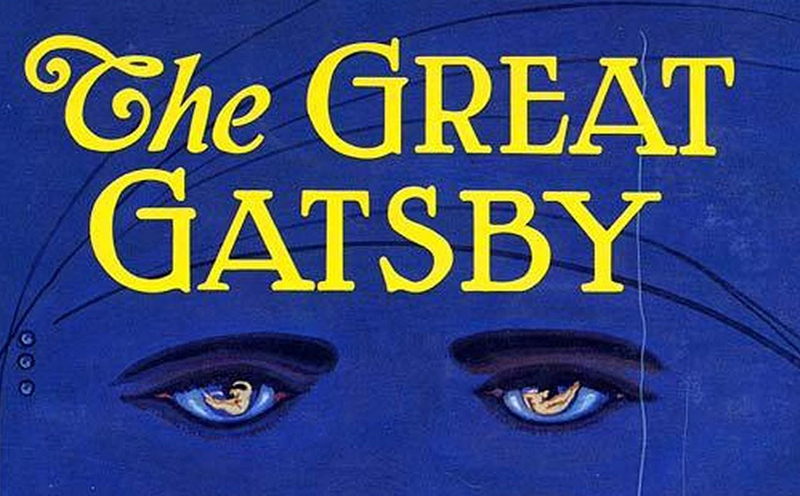 Luckily, Gatsby went through it all first, and we can learn from his successes and failures. First, you need to have a clear goal in mind. For Gatsby, the goal was acquiring Daisy’s love. For your company, that goal might be to increase sales by a certain percentage, or to get a certain number of clicks on your site. However, learn from Gatsby’s mistakes. His expectations far outweighed the reality of the situation, and he paid the price for it. Be realistic about your goals. You need a plan. Born into a poor farming family, Gatsby thought the only way to win the heart of a southern belle was to become just as wealthy and influential as her. Then his plan was to buy a house across the bay from her and throw wild parties in the small hope she might wander in, recognize him, and fall back in love. Needless to say, that’s not a solid plan. However, by learning from his failures and tweaking the plan, it paid off. The first thing Gatsby did was get his brand on point. He changed his name from James Gatz to the ritzier Jay Gatsby. Branding is important. It’s how the world sees you. Create a unique brand based around the aesthetic your customers gravitate towards. Look at the marketplace and your competition and focus on what makes you and your product unique. You may not be able to do this on your own. Gatsby served under Dan Cody, a copper tycoon, to learn how the wealthy dress, talk, and act. Having help isn’t a bad thing. Your concentration should be on delivering the best possible product, and not everyone has the resources to do everything on their own. If you’re having trouble with this yourself, look up companies who specialize in branding in your area. Through some shady business dealings, Gatsby got rich. He became the well dressed, well spoken, and confident man he always dreamt of being. But having a good brand doesn’t automatically get you noticed. You have to put yourself out there. This is where marketing comes in. You can apply Gatsby’s experience to any type of marketing, but from here, we’ll focus on social media marketing. Gatsby started advertising himself. He would throw the biggest parties anyone in New York had ever seen and everyone was welcome to attend. However, it wasn’t enough to capture Daisy’s attention. You can write amazing articles, funny tweets, clever ads, but if you’re just throwing them into the world hoping for the right eyes to see it, it doesn’t always work. This is where Jordan Baker and Nick Carraway come in. Gatsby began inviting people who knew Daisy directly, Jordan being her friend, and Nick her cousin. We can group this into two different categories: Targeted Advertising and Influencer Marketing. Targeted advertising allows you to advertise to specific groups of people by using keywords, phrases, locations, ages, gender, etc. Most social media platforms have their own targeted marketing with built in analytic tools that allow you to track how your ad is doing. It’s no longer enough to post your product on your own blog, your own instagram, or pay to put it on random websites. Know your demographic, and target your ads to those people. Gatsby inviting Jordan to his parties is a good example. She is Daisy’s age, a wealthy socialite from the same city that hangs around in the same circles. With any luck, she would have brought Daisy out to one of the parties, or at the very least, mention the parties to her, which does happen early in the book. With Influencer Marketing, you pay for a person with a following to advertise your product. A bigger following doesn’t necessarily mean a better following. Try and pick an influencer that already interacts with your demographic. Nick Carraway, for example, does not have a large following, but he is in direct contact with who Gatsby is after. Nick also provides something else: legitimization. Since Daisy trusts the opinions of Nick, she is more inclined to trust Gatsby. Nick eventually does re-introduce Daisy to Gatsby, but it took another step. Simply inviting Nick and Jordan was not enough to get Daisy to Gatsby’s mansion. So Gatsby then approached Nick and Jordan, told his story, and asked them to make the connection. By sharing his story and becoming friends, he was finally able to get his meeting with Daisy and make the pitch he waited 5 years to make. More than likely, your company is probably not trying to reach just one single person, but the same rule applies. The important thing to take away from this is communication. Marketing on social media should not be you shouting out your message, but actually having a conversation. Speak with your consumer base, listen to what they’re saying, their wants and needs, and grow and change accordingly. Develop relationships. Make friends. People like being heard and understood.